There was a big storm here in NYC last night. When I got out of the subway after the gym I had to duck into the corner deli to wait out the worst of it. I have never seen so many of my fellow Williamsburgers in a corner deli at the same time. I browsed the aisles and ended up buying brown shoe polish and peppermint/ginger chews. 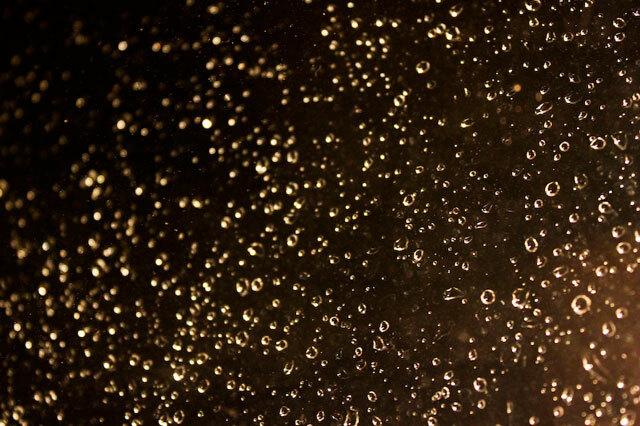 Finally home, I couldn’t stop looking at the raindrops on my windows. I took a shower and cozied into some fluffy socks with pompoms. Just because. Laid on the sofa and admired the tiny diamond-like raindrops and the sharp lightning bolts cutting through the dark skies for a little while longer. 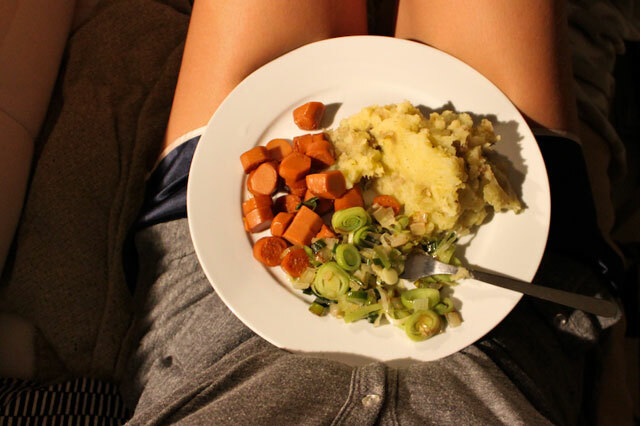 Then, I made myself some mashed potatoes, veggie dogs and sauteed leeks and onions. Feelgood food for not-so-good weather. It’s OK to eat on the sofa on a day like this. 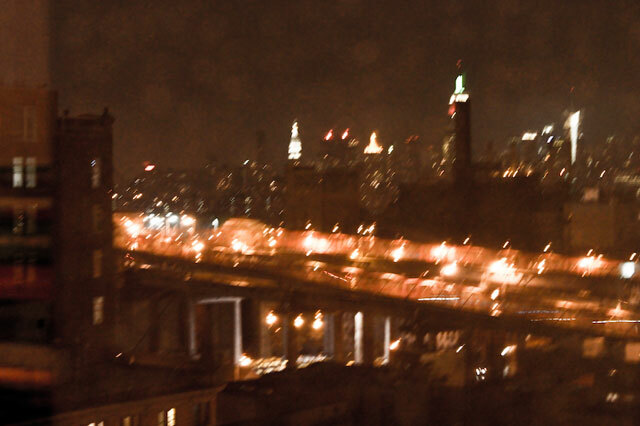 The city a blur in the distance, I quickly fell asleep to the soothing sound of rain and thunder. 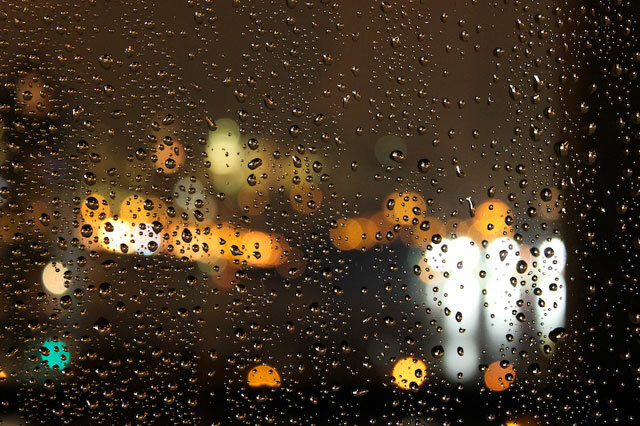 This entry was posted in Design, Natural Beauty and tagged details, night, rain, raindrops, storm. Bookmark the permalink.